Chris specialises in business rescue and insolvency. Acts as Insolvency Practitioner on all forms of corporate insolvency including trading administrations, pre-packs, liquidations and company voluntary arrangements. Advises and provides innovative solutions to stakeholders on best outcomes in insolvency and distressed situations. Respected advisor to directors, shareholders and able stakeholders on responsibilities and solutions in distressed situations. Specialises in solvent liquidations (members' voluntary liquidations) including Section 110 reconstructions. Acts as an Insolvency Practitioner in personal insolvency including trustee in bankruptcy and supervisor in individual voluntary arrangements. Experienced in most sectors and supported by a strong senior team. 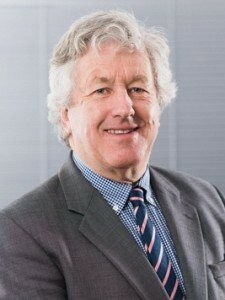 Qualified as a Chartered Accountant in 1975 and Licensed Insolvency Practitioner in 1995. Previously worked at PwC and KPMG. Founded McTear Williams & Wood in 2000 as a boutique business rescue and insolvency firm practising across East Anglia and more recently in London. Member of R3 (Association of Business Recovery Professionals), currently R3 Policy Group Committee member and previously Chairman of R3 Regional Committee and past Council member.